Sometimes you want to be noticed and sometimes you need to keep a low profile...we understand that completely. Keeping this in mind, we designed the warm Shaker coffee table. Two Bottom drawers open to provide ample storage options for remote controls, magazines and the like while leaving the table surface clutter-free. Open shelf provides additional storage. 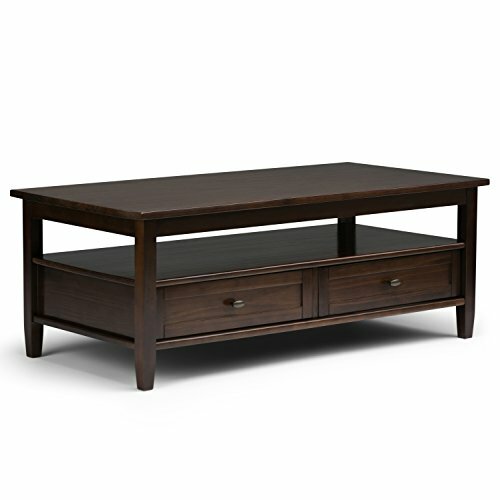 This beautiful and versatile coffee table can fit easily in your space...and turn heads at the same time. This item is hand-crafted and hand-finished with utmost care, as such variations and imperfections should be expected and should be welcomed as the natural beauty of the wood.